There’s just something about a good ‘ol American road trip. The windows down, the music up, junk food, a Texas sunset, a stop at Buccee’s (cleanest bathrooms on the planet), and getting away from reality for a bit. 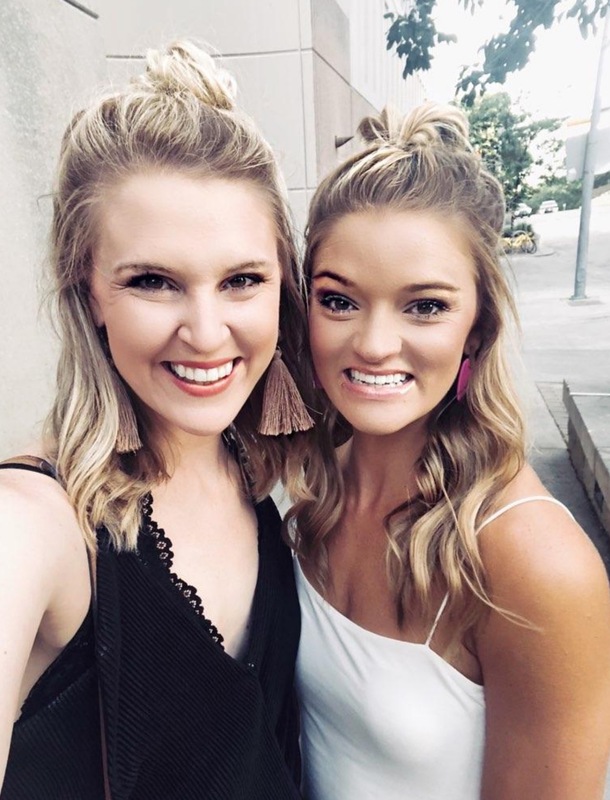 When my sis said she had a quick hiatus from the trenches that are PT school, she flew to Dallas and I surprised her with a weekend trip to Austin. It’s the land of all things weird, hipster, and humid. Let it be known she’s in PT school at the University of Tennessee, so assuring everyone that she goes to the “real UT” was her main goal in Longhorn land/the land overflowing with breakfast tacos and Whole Foods organic coffee. I had to remind her she was in the non-humble, very prideful land of Texas. A little backstory to the trip: I sent my sister, Karlee, this meme of Willie Nelson, as a hint of where our travels would take us. She took it to mean that we were going to see him in concert, which I completely died over. 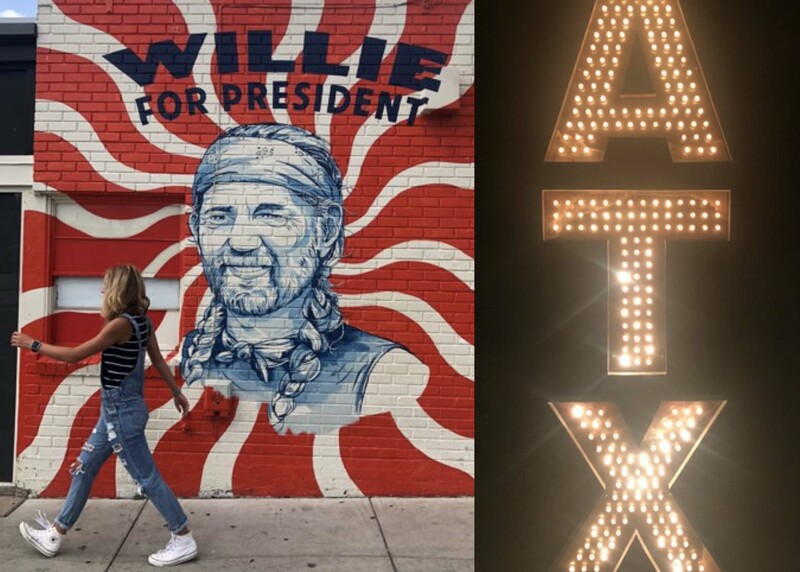 Willie's an Austin native and famously so, but she had researched him and he was actually in Dallas for a music festival that she was scared I was dragging her to. Because that’s definitely what any young girl wants to do with her weekend, right? No. While blaring throwback 90s music down the ever so boring I-35 (why is it so flat?) we came up with a list of things we wanted to see, places we wanted to go, and food we wanted to inhale. Note: we walked 15,000 steps each day, so we decided the calories didn’t count. 1st goal: See all the murals. 2nd goal: Eat all the good things. 3rd goal: Be total tourists, but with the idea of a little more bat watching and a little less fanny packs. 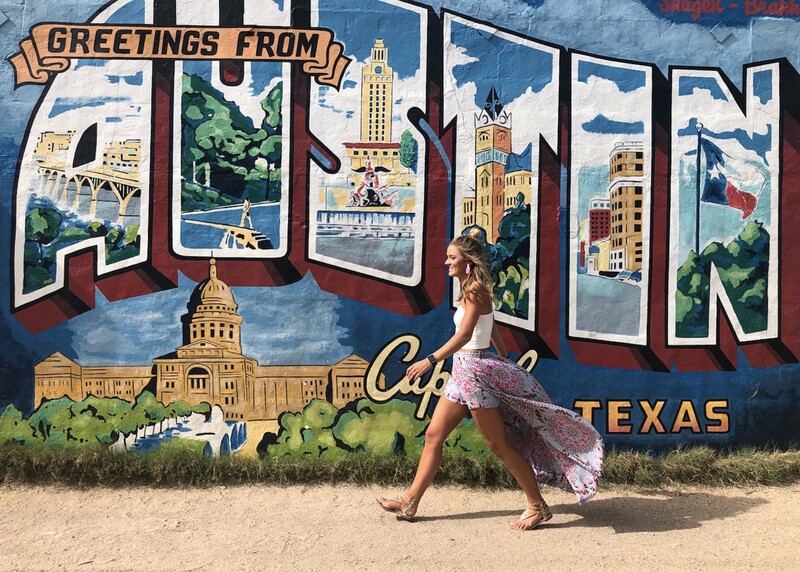 Being a designer, traveling to Austin to me meant finding every mural ever painted, and for my sister it meant taking a picture in front of every mural ever painted. I care about aesthetic, and she cares about maintaining the bronzed skin & 6-pack abs she came into the world with (eye roll). If I see something that I’m curious about, I have to know about it. I have touched walls in the grossest public spaces, I have flipped over chairs in restaurants, I have taken pictures of the most random design elements ... you catch my drift. And her, well, she was the prop to make my mural pics next level. I’m signing her up to be a model or the Bachelorette. Whichever. 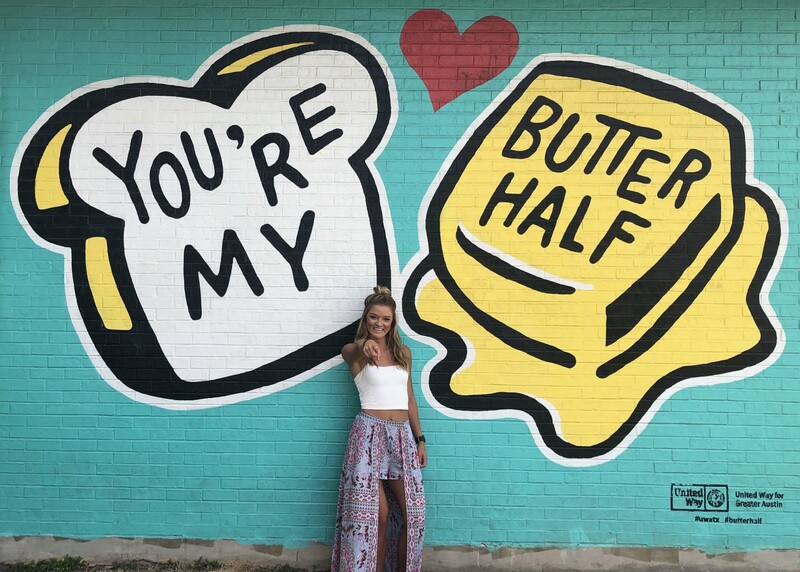 As for our favorite mural locations, it’s not hard to walk 10’ before running into a new mural in this city, but we found our must-sees: Greetings from Austin, You're My Butter Half, I Love You So Much, Willie For President, and You Look So Good. We took an embarrassing number of photos ... most of which will never be shared with the outside world. My casual afternoon snack at Perla's. 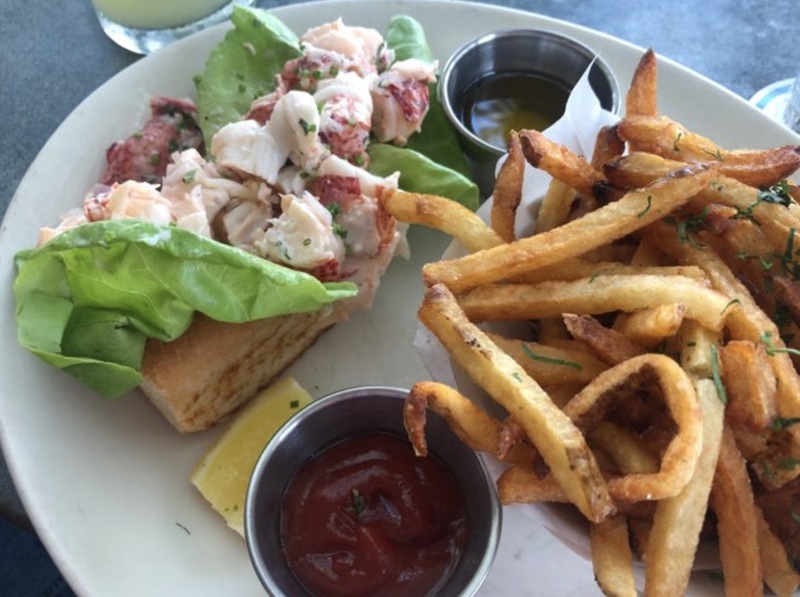 Paired with Prosecco (and the best company). Let’s dig in (get it?) to the delicacies we partook in approximately every hour on the hour. Day one we woke up in desperate search of coffee and tacos, so we walked to the original Central Market, where we found a Pepperbox Coffee food truck perched outside. Two birds, one stone. Chorizo taco in one hand, skinny caramel latte in the other. Now we’re talkin.’ Now I can survive the day. That afternoon, after much shopping and wandering, we headed into the humidity-ridden South Congress neighborhood to indulge in a patio drink and "snack" at Perla’s, consisting of oysters, a lobster roll , fries, and four cocktails. 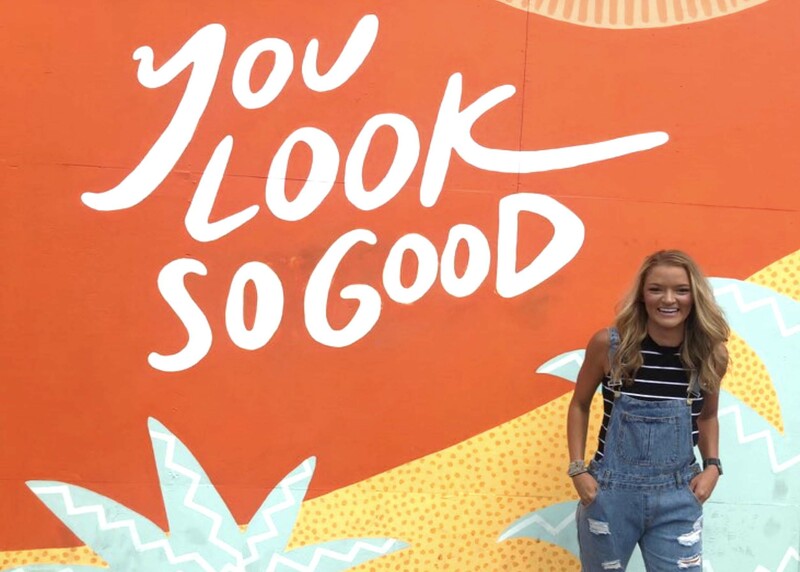 Post more shopping, a look into the original Kendra Scott (hey, ladies), and an odd viewing of some bats, we took it back to the world’s cutest Airbnb with a Cane’s chicken snack plate and turned on Family Feud. Because we’re ninety-five 24 and 28. Day two's food was much more upscale than a Styrofoam box loaded with sodium. In between sipping cocktails at Upstairs at Caroline and nibbling on (read: devouring) a charcuterie board at Second Bar + Kitchen, we found our way around town and felt like total locals. Upstairs at Caroline has an unbelievable rooftop patio experience, and the service at Second was certainly top notch. My sis had the short rib, and I had Black & Bleu pizza. 1000% recommend. We ended this night with a heart to heart and glass of wine on the rooftop of the Westin, at the Azul Rooftop Bar prior to wandering the lobby of both the Westin & the JW Marriott for more design inspiration. 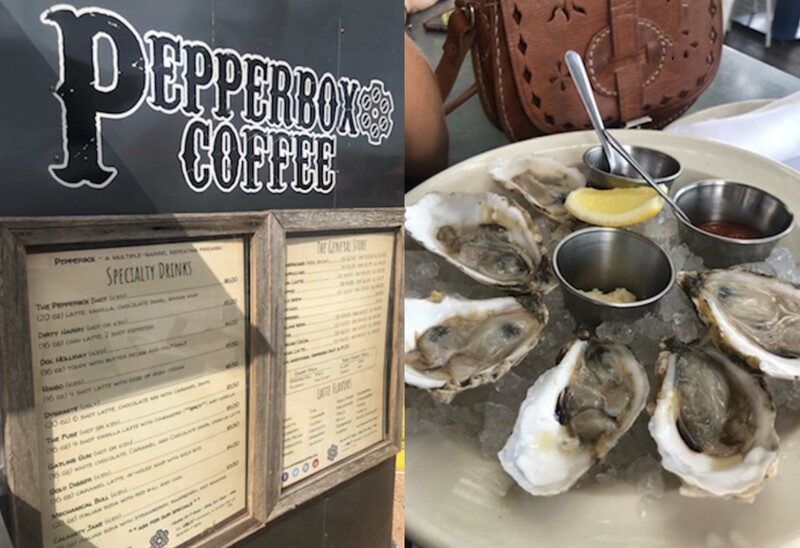 Our view from Azul rooftop bar, our Pepperbox Coffee / Perla's oysters experiences / El Arroyo has some excellent tacos, and an even better Instagram. As for the “touristy” aspect of the trip, I think the most definite tourist thing we did was view the bats at the bridge. PSA: they have a bat hotline you can call to see what time the bats emerge. Like WHAT? You can literally call and a recorded voice tells you what time you should hustle on down to the Congress Avenue Bridge. For us, it was 8:43 pm and I kid you not when I say those bats flew out at 8:43 on the dot. Casual. I’ve always found that travel does two things for me: completely calms me and completely inspires me. I always come back from trips-whether for work or for fun-with a million new ideas. My team is working on several design packages right now, and this trip came at the perfect time. 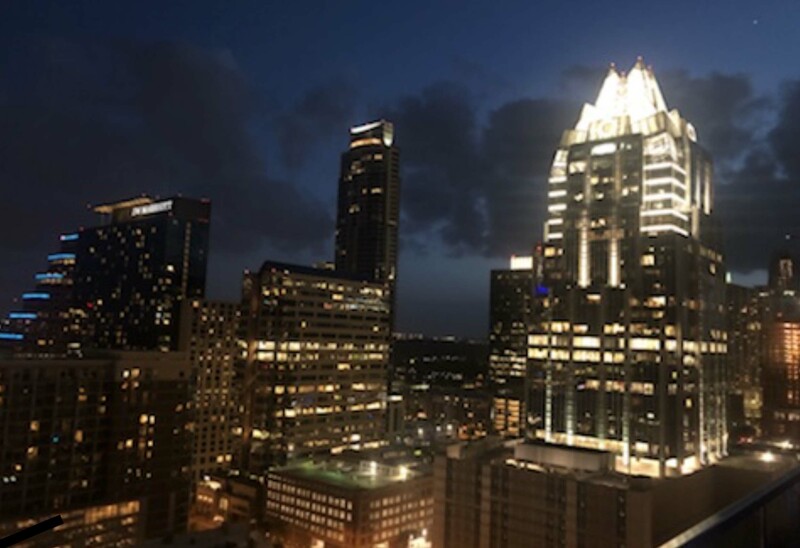 Several things I saw in Austin gave me inspiration for a job we’re working on in Dallas. It’s hard to be in this industry and not constant be floored by something new – whether it be in nature, architecture, fashion, or a goofy mural on the side of an old cinder-block building. I think design is oddly one of those things that unites people the most. Just like a good meal or conversation, you remember it. I love looking for all the little things that make something special. For me, this trip was a double dose of special, being that all of the little experiences were shared with my sis. Family and design are two of my biggest passions and to have the two intertwine gives me life. 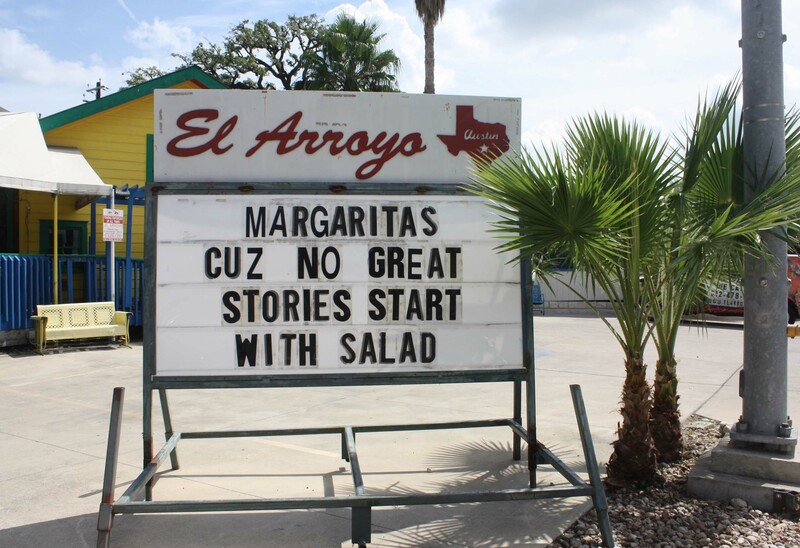 Now go find a large margarita and brisket taco and get to planning ... but in the meantime, keep it weird. That’s what they’d do down in those parts. PS, I also wouldn’t be doing this post justice if I didn’t give props to John the Airbnb owner. Officially the cutest little Airbnb ever. I wasn’t sure which area to stay in, so I enlisted a friend that’s a UT grad, and she hooked us up with the most walkable neighborhoods. This little backhouse was perfect for the two of us, seeing as we were only there to creep on the cute dog next door & sleep. Plus, John left us a bottle of red wine + a handwritten note. Cheers to you, John. You the real MVP for understanding how these girls trips work. Kelsey Sullivan leads the Hospitality Team at Thiel & Thiel, working on country clubs, city clubs, and high-end residential club jobs. 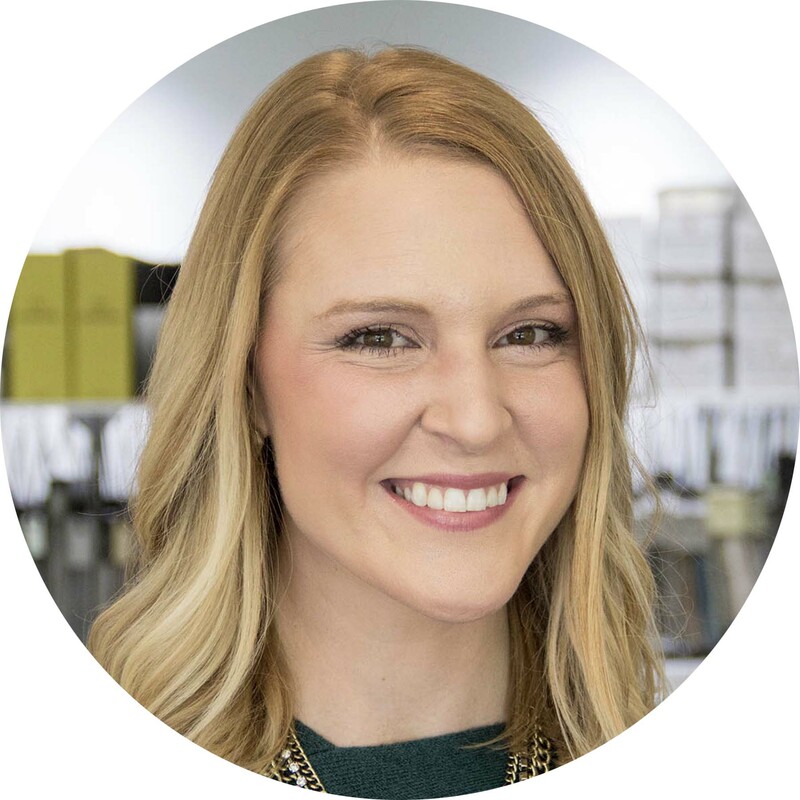 Kelsey directs her team, manages client expectations, helps in the onboarding of GCs/project consultants, and oversees jobs through from the initial site visit to final installation. Caramel Macchiatos and hot chicken are the way to her heart. 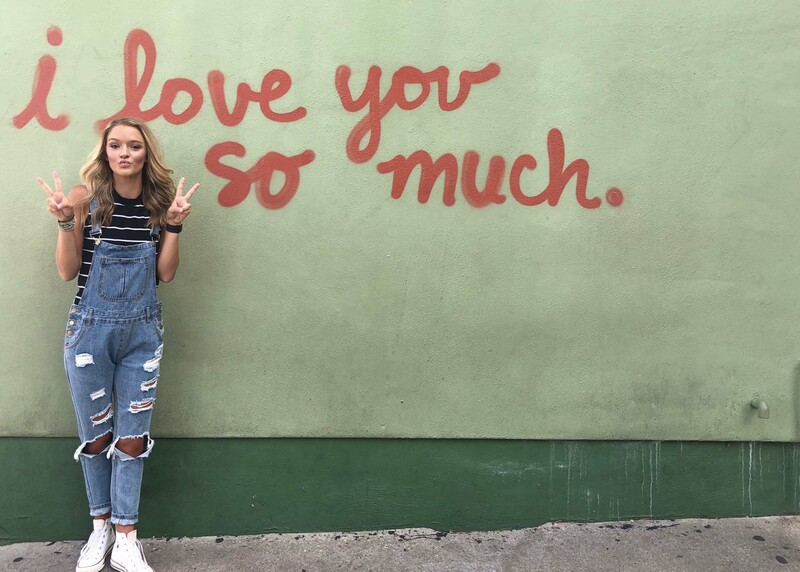 She's our favorite southern(est) girl.